Flash Sale! 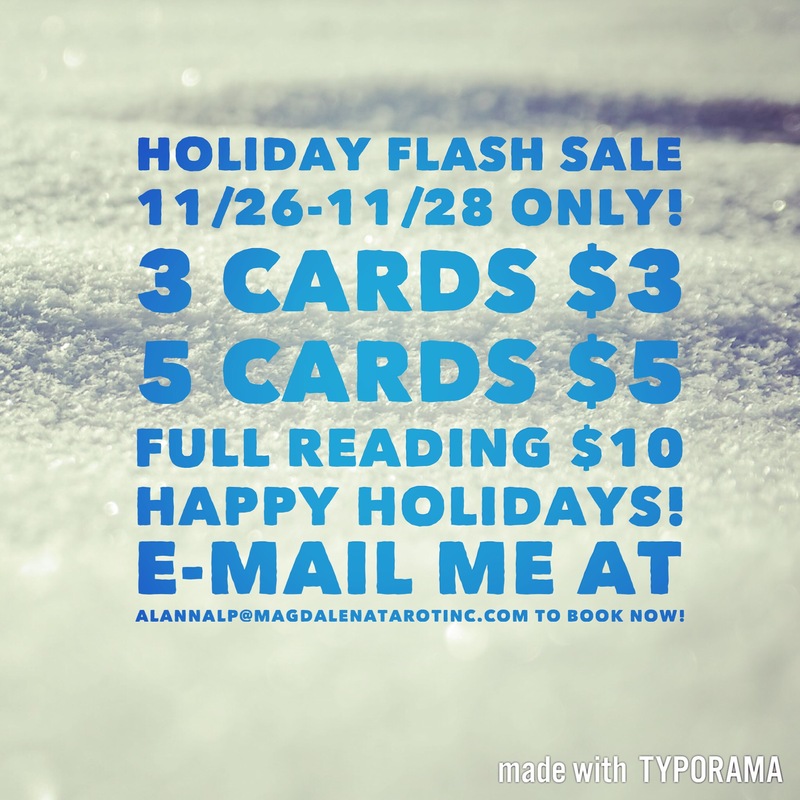 Get a super secret deal on a Tarot Reading from now through Cyber Monday! Do you need to patch something up with someone before the holidays but don’t know how? Are you looking for guidance improving your abundance in the next year? If you’ve wanted to get a reading from me but have been hesitant because of the price, now’s your chance to cash in on my gift to you. These special rates are my psychic fair prices butthis is a time of giving and sharing. Act now because once the sale is over, these prices will be too! E-mail me through the contact form on the Book a Reading page to book your reading today! *All readings must be paid in full up front. This entry was posted in art, dreams, mysticism, mythology, numerology, occult, self help, spirituality, Tarot, Uncategorized, witchy and tagged astrology, divination, Flash Sale, inspirational, motivational, numerology, occult, pagan, self empowerment, self help, tarot, tarot reading, witchy. Bookmark the permalink.